New Windows Phone 7.5 mobile operating system, codenamed Mango, is now available free to existing owners. Microsoft has begun to roll-out the latest version of its Windows Phone operating system. Originally codenamed â€˜Mangoâ€™, version 7.5 includes enhanced social network contact and calendar integration, as well as improved multitasking. 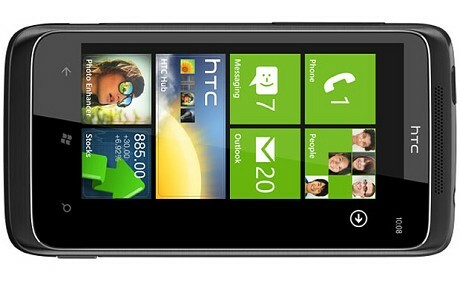 The new software is available free to customers who have already bought Windows Phone 7 handsets, such as the HTC Trophy. New hardware is eagerly awaited, however, and Nokia is set to launch its first Windows devices at the end of October. The new software was also accompanied by the launch of a new web marketplace for apps, allowing users to buy from their PCs as well as their phones. Mango also offers enhanced access to Microsoft Office, as well as better gaming options and the ability to handle multiple email inboxes. It also includes enhanced local search options, called Local Scout and faster web browsing. Microsoft launched Windows Phone over a year ago, to a mixed critical reception. An HTC source said that new devices would be the first that will allow manufacturers to claim the platform now offers real competition to rivals from Google and Apple. Microsoft claims Mango will deliver more than 500 new features. Combined with announcements about availability in new languages and the companyâ€™s partnership with Nokia, the update will see Microsoft aim to get Windows Phone into a range of new markets that are currently not yet dominated by Google Android and Appleâ€™s iOS.